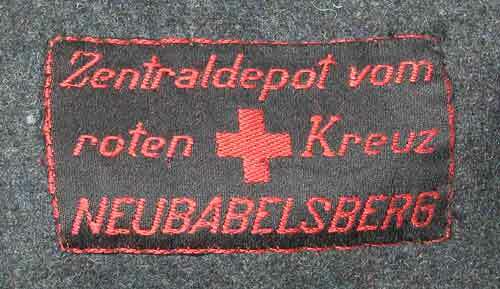 German Red Cross Vorhelfer Tunic, 1938 pattern made from charcoal grey wool/rayon blend cloth. The tunic has a five button front closure with single metal hook and eye at the neck. The pebbled aluminum buttons are all marked Assmann - Ludenscheid. 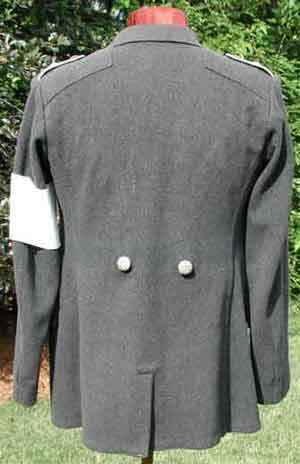 It has two front breast and two pleated saddlebag hip pockets with scalloped button down flaps. The black bakelite buttons on the sleeve are intact but cracked. 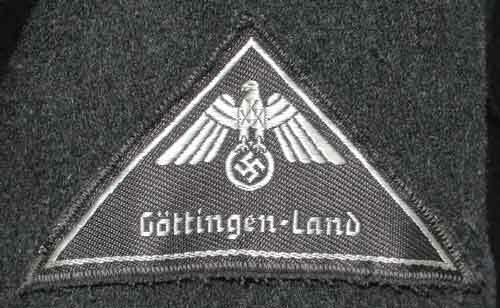 The upper right sleeve has a 1938 machine woven national eagle on a grey woven rayon triangular base. 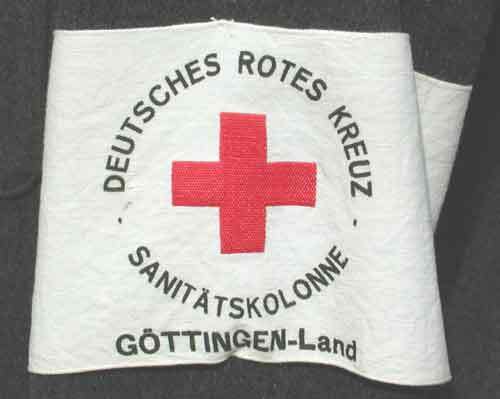 The left sleeve has a rare sanitation column armband. 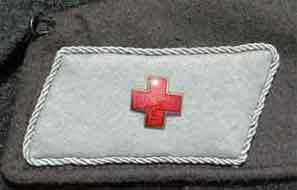 The grey wool shoulder straps with light grey piping have a single aluminum rank pip which signify the rank of DRK-Vorhelfer. 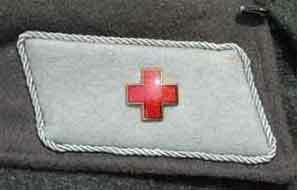 The collar tabs each have a red enamelled red cross and twisted silver/aluminum cord piping. 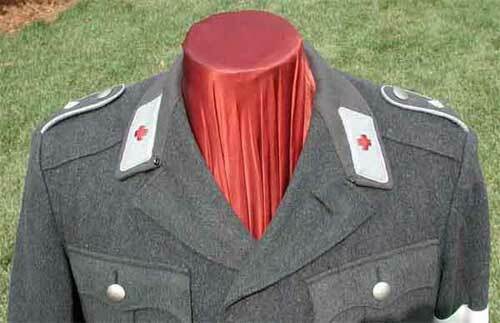 The tunic has a field dressing pocket at the left front tail skirt. 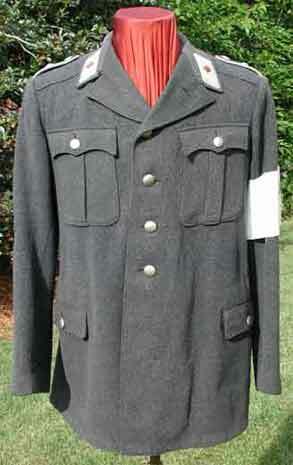 The tunic is roughly size 40 chest and is in virtually mint condition.